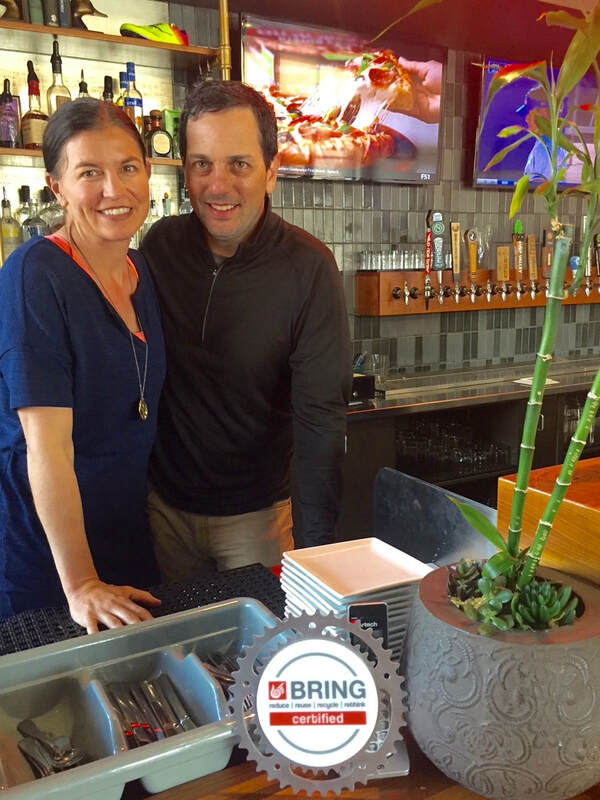 Eugene restaurateurs, Michael and Angie Marzano, host fundraising nights, donating a portion of the days’ sales to local nonprofits. The couple’s two restaurants are Rethink Certified through a local certification program that improves environmental performance, and they actively look for ways to reduce their environmental impact. There is a lot to love about Eugene. Our city is known for great food, a thriving arts scene and spectacular natural beauty. We are also known as a community that is both socially and environmentally conscious and we expect the places where we shop, dine and work to reflect those values. Corporate social responsibility, or CSR, goes beyond meeting basic legal and ethical standards of operating a business; it includes functioning as a strong community citizen that shows concern for the public by “doing good.” While CSR is most often related to large corporations, small businesses can also benefit from responsible social and environmental practices. One of the most important ways a small business can showcase social responsibility is getting involved with service organizations and projects. This is easy for local companies that have roots in the community where they operate. By taking part in local events and activities, companies can enhance their visibility and attract new customers. Giving is another opportunity for businesses to show their support for their community. Though not a requirement, it is common for businesses to return some of their earnings to local nonprofit organizations that align with their company’s mission. A clothing retailer that collects gently used coats for veterans or a car dealership that supports teen driver safety education are examples of strategic giving. While donating money is always appreciated, employers can also offer in-kind support and paid time off to employees, so they can volunteer at the organization of their choice. While being responsible is often its own reward, it makes business sense to incorporate environmentally friendly practices into your operations. In Eugene, food-related businesses can donate unused food to food banks and compost the rest through the city-run Love Food Not Waste Program. These practices reduce waste, improve your environmental performance and show concern for the community that we call home. Communicating your CSR efforts is the key to a successful program. Sharing your success on your website, social media and other outlets has the benefit of keeping employees and customers engaged. Studies show that young professionals want to work for companies that support their values and that customers are willing to pay more for services and products that align with charitable interests and protect the environment. With the rise of social media and review sites, Eugeneans have more power than ever to identify companies that are good community citizens. Adopting a CSR program is an effective way to remain competitive. Carolyn Stein is executive director for BRING, an entrepreneurial nonprofit organization, and the creator of Rethink Business, a hands- on technical assistance and certification program for businesses that want to reduce waste, save money and improve their environmental performance.